Madison Watercolor Society is registered with the State of Wisconsin as an unincorporated nonprofit association under WI Chapter 184: Uniform Unincorporated Nonprofit Association Act. Since its inception in 1983, Madison Watercolor Society ("Society") has been committed to advancing the recognition of watercolor as a unique and important form of artistic expression. In 2009, the Society broadened its original purpose that adhered to a traditional interpretation of "transparent watercolor" on paper. Today's Society remains committed to the use of transparent and opaque watercolor as the primary medium of expression, whether applied on paper or flat synthetic surfaces, while allowing for the supportive and enhancing use of other water-soluble mediums such as casein, acrylic, and gouache. The Society depends and thrives on the active participation and ongoing support of its Active Members. Membership in the Society is by jury selection. 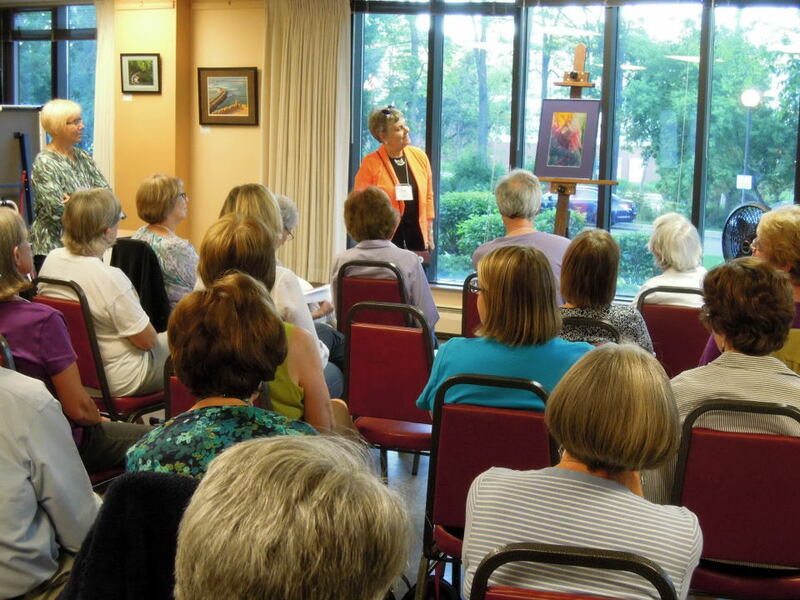 MWS is unique from other art organizations in that it offers its members a safe and helpful venue to present new works for critique by peer watercolorists who are proficient and knowledgeable with the medium. This format not only encourages members to paint on a regular basis, but also provides an excellent and mutually beneficial learning environment. Watercolor Skill Level: Intermediate to an advanced understanding and use of watercolor. Meets minimum skill level requirements (intermediate to advanced). Has attended a minimum of three MWS meetings within a twelve-month period prior to appearing before the Selection Committee. Evidence of attendance must be recorded on attendance log circulated by MWS Secretary at each meeting. Has completed all application requirements per the Selection Committee Chair. For more information about MWS or how to join, send us an email.